For everyone who struggles with math, here is a Math Cheat Sheet! It functions as a student handout, an addition to a school binder, or a free homeschool math reference sheet to complement a homeschool math curriculum. Through elementary school, middle school and junior high, I used A Beka math. A Beka starts trigonometry in 7th grade and prides itself in being 1-2 full grades ahead of almost every other curriculum. Despite how crazy their curriculum is, they honed my math skills sharply, even if I didn’t enjoy it at the time! To keep my sanity, I created this math cheat sheet that included everything I needed to survive the school year. This chart was designed to be used and memorized within time, not necessarily copied for schoolwork. This free math printable is perfect for middle school and high school, but was created with grades 4-8 in mind, since that is the time I used it the most. For durability, you can laminate this sheet, or put it in a plastic protector. Grab the download by subscribing to my mailing list in the box below. 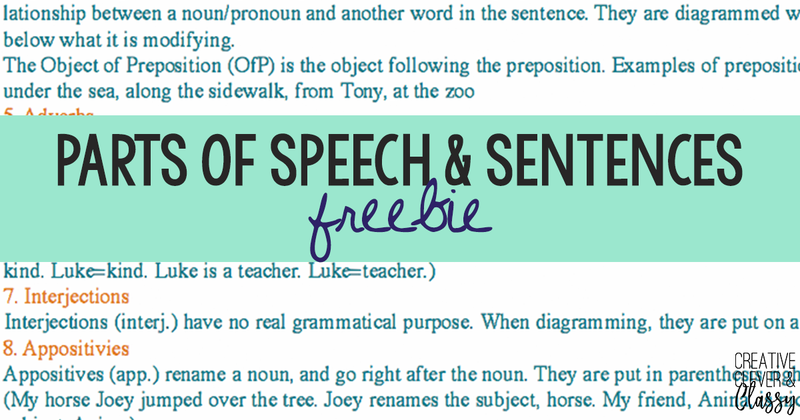 Also check out my sheet for The Parts of Speech and Sentences for grades 4-8. Like this sheet? 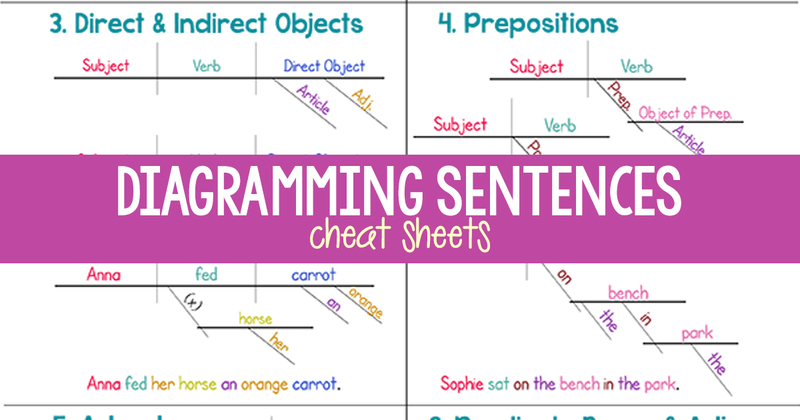 Here is a free diagramming cheat sheet! Next articleChemistry 101 and Giveaway! Thank you for the math cheat sheet. My daughter is in 7th grade and she struggles with math. We like that it is very colorful. Thank you. Thank you! I am so glad you found this helpful! Thanks for publishing this math converts and abbreviations. I’m tutoring in 7th grade math this year. It’s amazing how much I’ve forgotten (or never was taught) in the decades since I myself was in 7th grade! Thanks for this little treasure! How do I download this sheet? Click on the word “Download” in the link in the post. Hi Sarah! Please email me at samantha (at) creativecleverandclassy.com 🙂 Thanks! Thank you very much – I’ve made copies so that both of my homeschool students have a guide each! Thanks for the math downloads. They look pretty good (letting my kid decided which one to use). I was looking at them and noticed that the cubic yard had 27 cubic inches when it looks like it should have been labeled cubic feet. What a wonderful download. I know this will be helpful to so many homeschoolers. Thanks for lining up with us this month. Wow! 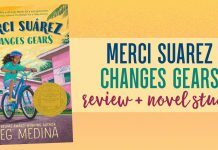 I’m bookmarking this to use with my next 4 kiddos this is great. You definitely provide a very unique perspective as a student! Anyway, I thought you might want to link up with the Finishing Strong Homeschooling Middle & High School Link-up. http://aspiredliving.net/2014/04/09/finishing-strong-middle-high-school-2/ . It’s every Wednesday, I hope to see you there! . Thank you so much for sharing this! I am a homeschooling mom and just shared the link to your blog on my Facebook hoping all my homeschooling mom friends will see your blog and check it out! You are such an inspiration! Love your blog! 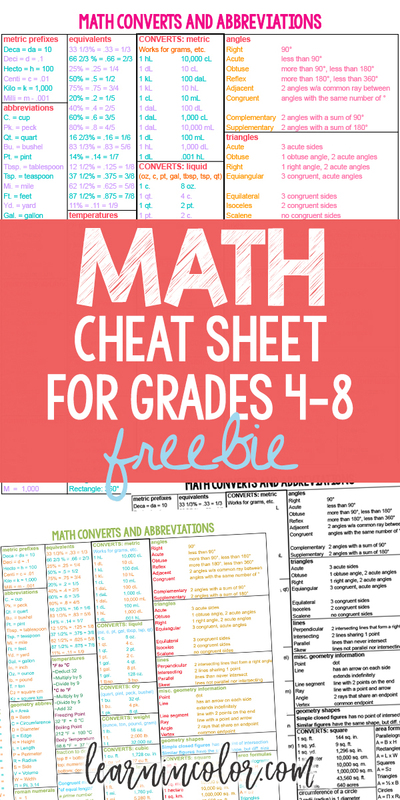 You have so many great posts, and I love the math cheat sheet. I am a homeschooling mom and will print this for my children. One question: any chance of you doing simple black and white copies? Trying to make color copies on a black and white printer doesn’t always work out very well. I’ll pray the color copies will work! Be blessed! Thank you so much for posting this for free. I’ve downloaded it so my youngest, whom I homeschool and who struggles with Math, can use it. Best wishes. I don’t homeschool but as my kids get older I definitely need a refresher for math. Thank you for the great cheat sheet. Please added to your email list. I have 5 kids from 18-6 that need extra help in school. Thank you! I love that you are a student putting this great blog out!!! On your Math Cheat Sheets where you use the term “prefics” for the Metric System, the word should be “prefix”. Oh my gosh – I think you are the first person to have caught that! Thank you for pointing that out! Can you hear me SCREAMING!!!! Thank you, thank you, thank you. So very helpful for my child (and I). Did you hear that, that’s a sigh of relief. Bless you. I would like to download the sheets…. samantha I love your math cheat sheet. I cannot download it either. If you can still share both colors, can you email to me. Hey Liz! Please email me at samantha (at) lechaimontheright.com (dot) com. Cant wait to have this for my students! 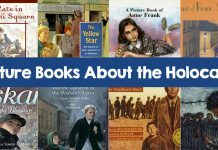 I homeschool a group of students in grades 4th-8th and this will come in handy for each of them! Can’t seem to get the math cheat sheet download. Hey Kristy! Please email me at samantha (at) lechaimontheright.com 🙂 Thanks! I love free printables! Thank you. You are amazing! Thank you so much for these! I teach 5th and 6th grade using a beka, so it’s amazing to finally find a resource that totally correlates with my stuff! I can’t wait to use these in class! Hey Mary! Feel free to e-mail me and I can get things sorted out! Please email me and I can send you a copy! Hey Lowana! 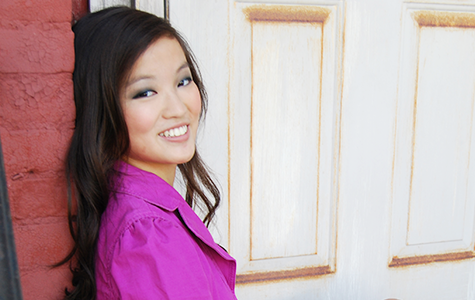 Please email me at samantha @ creativecleverandclassy.com! Hey Rita! You can download it with the popup above! Or, feel free to email me if you’re having trouble! New to teaching SpEd…looking for as many student resources as possible. This is a great resource. Can you send me the download link ? I love this sheets for kids. It makes math so much easier. looking to download these and i can’t find where to subscribe to be able to do that. Can you help? Yeah! Please email me at samantha (at) creativecleverandclassy.com 🙂 Thanks! 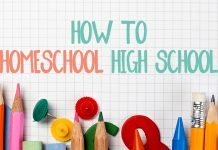 Not exactly with curriculums, but my post 50+ Reasons Why I Love Homeschool and Thoughts From my Senior Year sum up my feelings on my homeschool experience 🙂 Thanks so much! Hello how do i subscribe? Hey! There should be a popup in the post. If not, you can email me at sam@learnincolor.com!